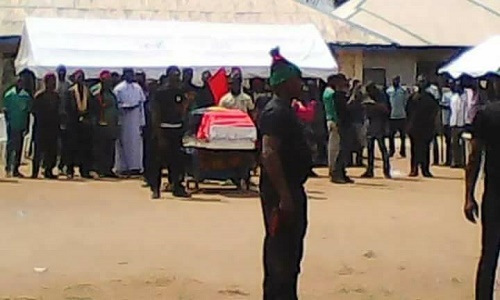 A teenage IPOB member who was reportedly killed by Nigerian security operatives has been finally buried in Akwa Ibom state. A 17-year-old Indigenous People of Biafra member allegedly killed by security operatives during Donald Trump’s rally held late January has been laid to rest. 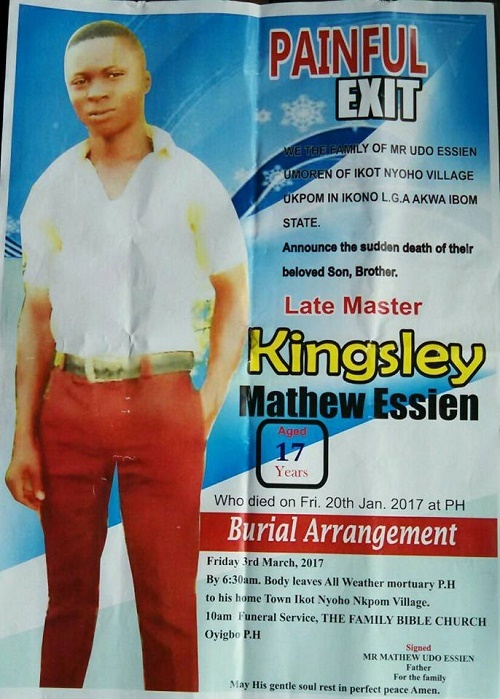 The teenager identified as Mathew Essien, an indigene of Ikot Nyoho village Ukpom in Ikono L.G.A. Akwa Ibom was killed on 20th of January 2017 and buried at his home town. His family members wailed uncontrollably as he was committed to mother earth.